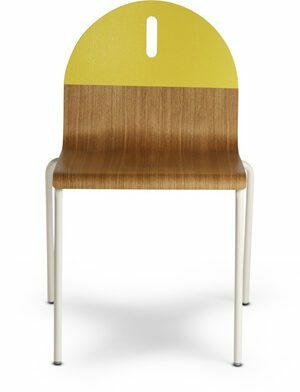 Based on the iconic shape and proportions of our original Thompson Chair, the Thompson Chair SE features a bent-ply seat, back, and legs, all finished in warm walnut. It works well as a dining chair, or as a standalone accent piece. Curved plywood seat and back. Finished in warm walnut veneer. Water based clear coat finish. Plastic tack-glide feet on 4 legs prevent floor damage.